Tatiana Gumucio earned her Ph.D. and Master’s in anthropology from the University of Florida. Previously, she received her B.A. in International Relations and B.S. in Economics from the University of Pennsylvania. 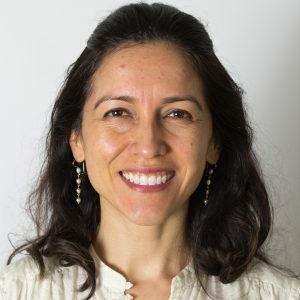 She has worked in the past at the International Center for Tropical Agriculture (CIAT) in the development of stakeholder engagement strategies to support policymakers to integrate gender in climate change adaptation and mitigation policies in Latin America. Tatiana’s research has also analyzed the significance of women’s and men’s access to information on production and crop management for the adoption of climate-smart agricultural practices related to trees in a territory identified as vulnerable to climate change impacts in Nicaragua. Tatiana is involved in investigation of the causes of gender differentials in access to and use of climate-related information; and the factors and conditions that can contribute to gender-transformative climate information services.